Diamond Bay is located on the bay of Diamond, Nha Trang – one of the world’s 30 most beautiful bays voted by Forbes Magazine. 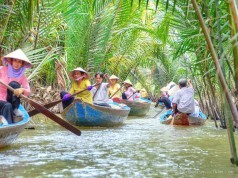 It is about 12km from the city center of Nha Trang. Andy Dye, nephew of Peter Dye, designed this course in a bold and confrontational fashion and it opened for play in 2011. He said: “With its unique location, exclusively set on the convergence of the subtle beauty of the natural, lean on the mountain – face to the ocean, Diamond Bay Golf & Villas is one of the few greatest golf courses in Asia possessing the beautiful view. In here, golfers can smell the freshness from Platinum TE Paspalum grass, feel the touch from the breath of tropical beaches and practice your skill in front of the magnificent of the ocean. This beautiful golf course is an complete yet amazing mixture of the majestic of the mountain range and gentle of the sea to create an exceptional golfing experience here”. Most golf clubs these days have a decent practice area, it’s possible to hit several dozen or even more than 100 balls in a relatively short period of time without any pressure. At Diamond Bay Golf Resort is the ideal place to work on your swing and your ball-striking on the first hit-to-sea driving range in Vietnam. Diamond Bay Resort offers many sporting activities for all guests. Get active on your vacation with some tennis, beach volleyball, football, or biking. Guests can wallow in the blue sea or take part in many water sports such as Banana boat, Snorkeling, Kayaking, Parasailing, Jet Skiing at one or two of private beaches. 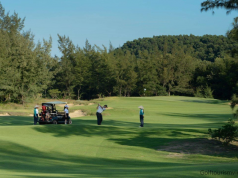 Not only stop at Diamond Bay, golfers and non-golfers alike can test their skills at Vinpearl Golf Club Nha Trang with its world class 18 holes golf course, breathtaking views of the sea from every hole of the course and excellent services. 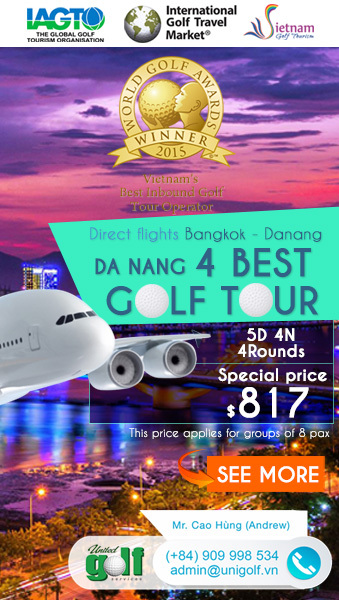 Day 1, Meet & greet at Cam Ranh Airport then car will drive you to Diamond bay Golf Resort, check in then rest. Day 2, After the breakfast, you will head to Diamond Bay Golf Resort to play 1 round there. Back to the hotel in the afternoon or you can go to 100 Eggs Mud Bath Central Park for a hot mud bath treat. 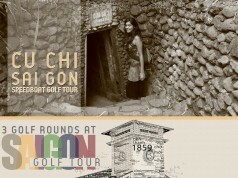 Day 3, After the breakfast, you will head to Vinpearl Golf Club to play 1 round there then check out, car will transfer you back to Cam Ranh Airport. End of services. Please give best rate for two person in November end month. We are coming form india. And landed to Ho chin min city. 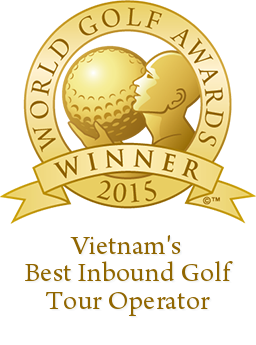 What is transportation cost and should we carry ou own golf kit or your company will provide. Thanks for interested in our service ! We will send you the quotation shortly. For the golf kit, you can rent at the golf clubs but for the best play, i think you should carry your own golf set.